“Whahooo”… The Most Fun Ever! 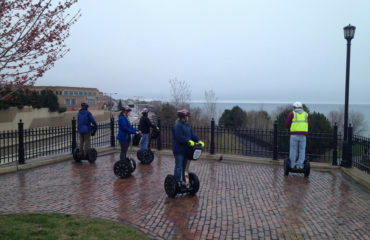 – Duluth Glides – See Duluth on a Segway! 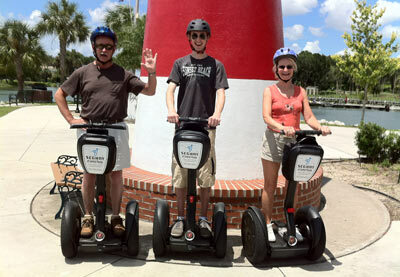 Here’s a picture of Don and JoAnn, with their son Matt, on their very first Segway tour. 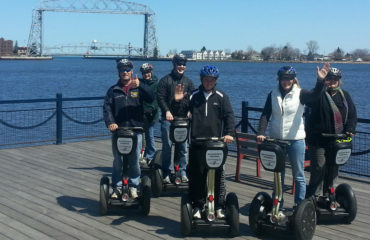 DuluthGlides Segway Tours was founded in 2013 by Don and JoAnn Sipola. Don was always interested in the Segway, since he saw the “IT” debut on Good Morning America more than ten years ago. Fast forward a decade or more. 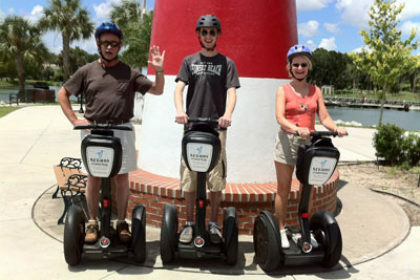 While on vacation and visiting their son in Orlando Florida in 2012, they stumbled on a Segway store, offering guided tours. Off the three went with their tour guide. Not five minutes into the tour, JoAnn, riding in front of Don, raised her arm and shouted “Whahooo” with excitement. (She is not normally into public displays of excitement.) “The most fun EVER” she said. That experience led to other tours in other cities, Tampa, Minneapolis, Raleigh, Chicago, New Orleans, and St Petersburg Fl. While traveling the country they have done the trolley tours, bus tours, duck boats, harbor ship tours, river architectural tours, limo wine country tours, but nothing came close to the personal satisfaction and enjoyment of the Segway PT Tours, (the machine acts like an extension of your body). They were hooked! They found a dealer in Minnesota and bought two Segways. On their first Glide around the Duluth Lakefront, they discovered vistas, cultural and historic sites they had never seen before. Returning from that first glide, both felt this Duluth experience was better than any Segway tour they had previously taken, by far. Quickly the idea developed that other people need the opportunity to be able to share in what Don and JoAnn experienced without driving, hiking and biking almost 6 miles. They took the best ideas from all the other tour companies they had experienced, invested in more Segways and a store, and formed DuluthGlides Segway Tours of Duluth in 2013. They hope you enjoy the experience as much as they did. Numerous photo opportunities are part of every Segway Tour.